Module based system buildt with LED technology enables possibilities for creating huge architectural interactive lightning systems that instantly reacts on any movement from by-passers. A person will instantly create a mirroring light, as a pixelated glowing shadow, the opposite experience of ordinary light. Bringing a short instant greatness for the playful. The AHO decided to purchase a 12 module sized prototype of the Dobpler system. The first works by a student to be put on a permanent display. 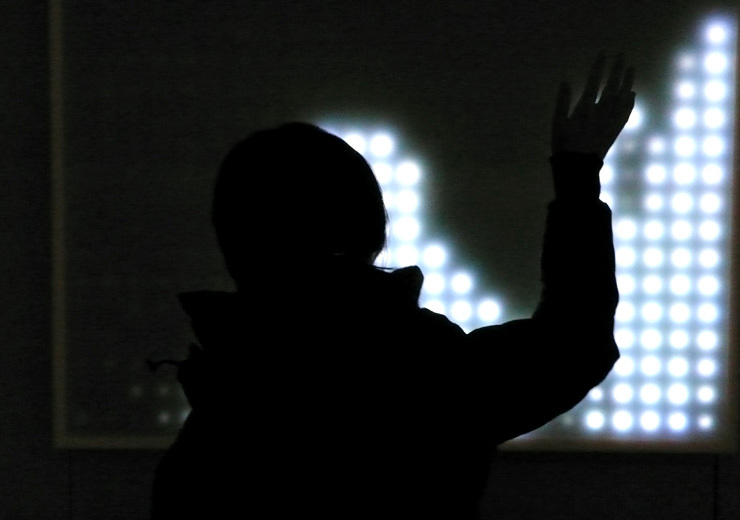 Physical computing, also known as tangible interaction, as well as traditional screen-based Interfaces. Some only concepts and tryouts, other like the Dobpler, ready for order.